It’s our third CSA box already! To be honest, S and I still have some veggies left over from our last box, which we received two weeks ago. I blame moving. More colors than just green this week! So – what’s in the box? Not a bad selection at all. If you can’t tell by that exclamation mark, I’m very excited for the tomatoes. :) Please excuse the shoddy photo, though. I had to take it indoors at 10:00 PM last night because I was out late doing a volunteer project (more about that later). I’m glad that my CSA is continuing to produce lots and lots of yummy veggies, and I’m glad I invested in it and threw my lot in with my CSA farm. Because that’s really what the CSA model is all about – shared risk and, hopefully, shared rewards. Folks like me who shell out a couple hundred dollars before the growing season even begins in earnest make it possible for our CSA farms to do what they do. We share in their successes, but it also means that we have to share in their failures, too. If my CSA didn’t have the irrigation infrastructure it does, I might have received a very different box yesterday. But that’s just the way it goes – farming is not a guaranteed success (duh), and when we purchase a CSA share, we’re acknowledging that fact. So what about you? 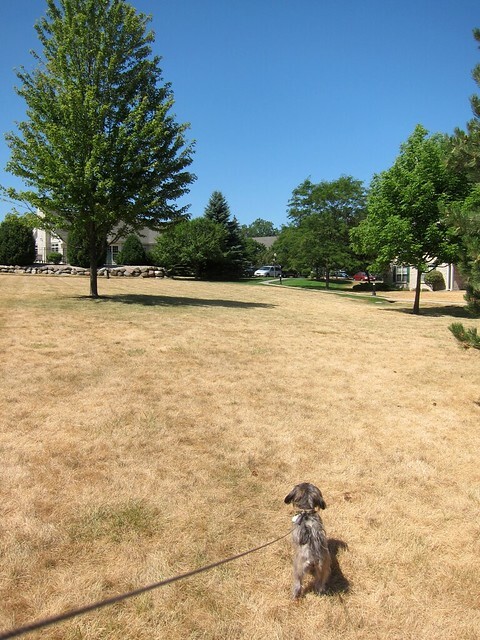 Is there a drought in your area, too? Have you noticed its effects in your CSA share or at a farmers’ market? 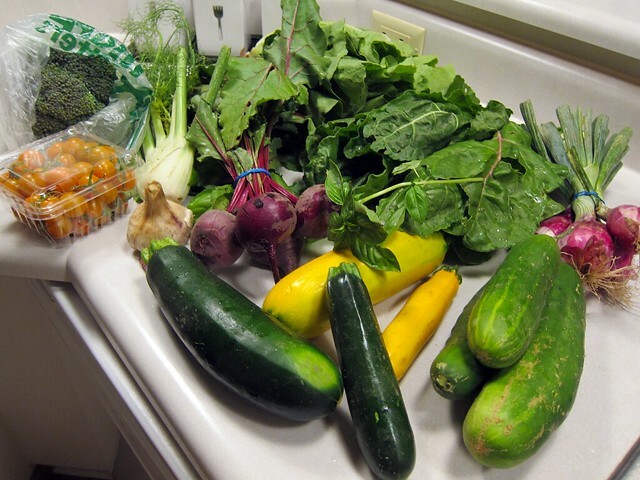 And, of course, what would you make with these veggies? That’s because I keep forgetting to add it. Done! We definitely have a drought and I’ve been amazed that the good keep coming. Let’s cross our fingers that they don’t stop coming!